The Eye-Witness: What did slavery have to do with the Civil War? It is interesting that the Northern elite classes of banksters and industrialists had no serious objection to the continuance of slavery as an institution. The color of the slaves was of little importance to them, White would do as well as Black. The anti-war riots which broke out in New York city in 1863 indicates the working classes of NY understood what the war was all about, chattel slavery to be replaced by economic slavery. It took a while for the Robber Barons of NY to form a working alliance with the Boston Brahmans and the Jewish financiers, but when they did the Federal Reserve Act of 1913 was the result. That Act coupled with high income tax constitutes a pretty effective form of modern slavery. 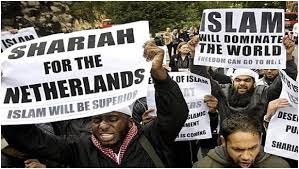 Also, the elite sponsored Afro-Islamic invasion of Europe strongly indicates the same elites haven't lost their taste for slavery and degradation.